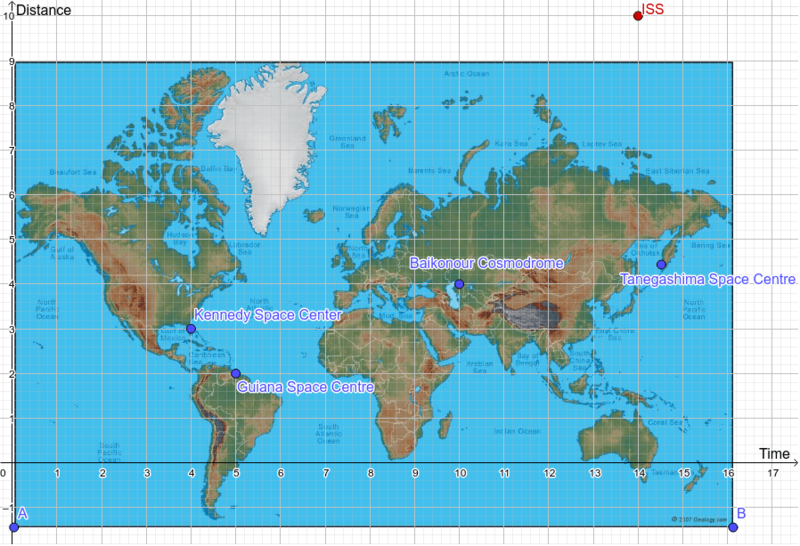 Can we calculate the slope of the flight path from Tanegashima Space Centre to the ISS? If so, how? Sum of vectors and the parallelogram law in 3D.